When to Hire Golf Equipment? Golfing in the UK is an experience unlike any throughout the world. This website aims to provide some information about golf techniques, tournaments, history and much more with a focus on the UK. The website aims to provide more information about the best gear and equipment available on the market as well emerging trends in the golfing community. The UK has a tradition of providing incredible tournaments and a thriving golfing scene for both professionals and amateurs. Tradition and the landscapes of the UK are contrasted with the latest trends in golf as well as changes to the golfing format. Some of the trends in golfing are hard to understand for more traditionalists and rightly so. The UK has the oldest golf courses in the world and a tradition that dates back hundreds of years. However, one of the great things about golf is its ability to change with the generations albeit sometimes slower than some people expect. 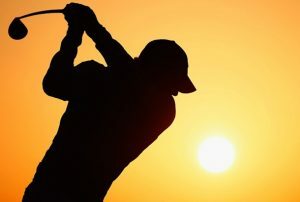 A young generation of golfers is embracing the traditions of golfing in the UK and are also adding some much needed new ideas and fresh blood into the sport. Their approach to gear, style, clothing, travelling, promotion and training for the sport is completely different to twenty years ago. The game has never been healthier and this website wants to continue making golf a sport that everyone enjoys into the future. Our website is all about providing information, reaching out to the golfing community and showing that golf is an accessible sport for people of any age and gender. We welcome feedback from the public about the website or any other events happening. We say welcome and hope you enjoy using the website as well as interacting with the golfing community. We embrace people from all walks of life and hope you can join us in our quest to make golf number one.